Why I don’t want others to feel alone. Mental Health Awareness Week on 13-19 May 2019 is hosted by the Mental Health Foundation with the theme of Body Image: how we think and feel about our bodies. Mental Health Awareness Week is a great opportunity to start or continue conservations around our understanding of Mental Health and Wellbeing in the Early Years Sector. Having experienced anxiety and depression I know how shameful it can feel to work with colleagues, children and families and feel as though you have to continually hide how your are feeling. I speak out because there is so much more we can do if we stand together. Nobody has to feel alone or lonely or get to a point where they have lost hope, are worn out, exhausted and depleted. We must stand together to raise our own understanding of mental health and wellbeing and seek to raise future generations that understand we are born with mental health. Let us learn from one another and understand how taking care of our wellbeing is a preventive measure that safeguards our physical and mental health. 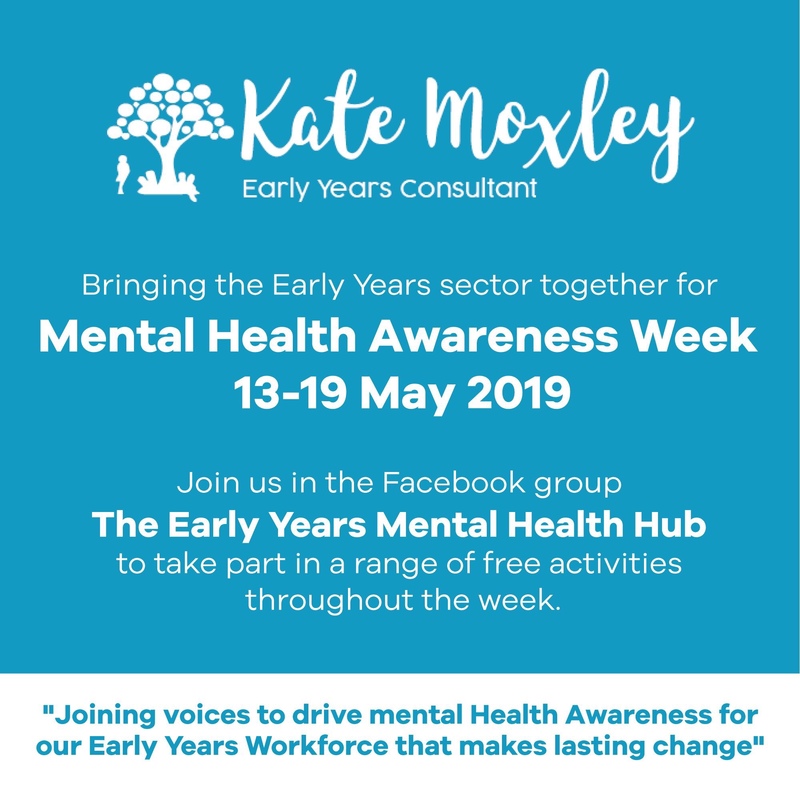 A bunch of us, whatever you wish to call us – early years advocates, enthusiasts, professionals are linking up and sharing our thoughts, feelings and ideas to start conversations, raise awareness and make meaningful change throughout Mental Health Awareness Week. We want to hear from anyone who has to something they want to say, share and contribute to raise mental health awareness in the Early Years – for staff, children and families.